YANQ has been working on multicultural issues for the past 20 years. We were funded between 1994 and 2009 for a Multicultural Policy Officer (MPO) position to progress multicultural youth issues across the state, network the sector, identify priority policy areas and coordinate responses. YANQ also organised professional development and training forums focusing on Cross-cultural Youth Work Practice. We acted as the main advocacy body for issues faced by young people from diverse cultures and the professional needs of people working with them. Unfortunately, in 2009 the Labor Government de-funded the MPO position, despite YANQ's work being independently evaluated and praised for its success in progressing multicultural youth issues. The loss of funding had a major impact on YANQ's ability to continue with networking, advocacy and representation of the multicultural youth sector and has left a huge gap in Queensland. Since 2009, we have been working with the National Multicultural Youth Advocacy Network (which YANQ helped set up) and local stakeholders to try and keep a level of focus on multicultural youth issues in Queensland. During this time, Queensland's settlement services have been expanding rapidly and there has been a need for a network of settlement services. The Multicultural Development Association (MDA) has establish a Multicultural Youth Settlement Network for settlement workers in South east Queensland and YANQ has been working with MDA and ACCESS Community Services to develop a collaborative frame work for progressing broader multicultural youth issues at state and national levels. The election of a new LNP government in March 2012. YANQ is keen to get around the table with the new ‘Can Do’ LNP government. In doing so, we want to ensure we are articulating a cogent view on behalf of the youth sector in relation to the direction we want multiculturalism to take under a new LNP administration. We believe getting the settings right on multiculturalism for young people in Queensland will be critical in meeting the LNP government policy platform of 4% unemployment target, Arts for all Queenslanders, fighting for Queenland’s share, strengthening families, preparing children for success, delivering safer communities and empowering local communities. Being prepared for the release of the Australian Bureau of Statistics 2011 Census to give us some scale to the level of diversity in Queensland, future trends and working to optimize the best outcomes and strengths. These include the opportunity to put in place the right support in the right places to get the best outcomes for everyone to take their place in an inclusive and prosperous state. Noting the most recent report by the Prime Minister in progress of the ‘Close the Gap’ agenda which was released in February 2012 which seeks to acknowledge and address the current and ongoing disadvantage faced by Indigenous people as the First People’s of our multicultural nation. The current work that is under-way at a Federal level in developing a National Anti-Racism Strategy released in July 2012 and the Australian Human Rights Commission Submission to the Access and Equity Inquiry Panel in February 2012. YANQ's view on the basis of these developments is that now is therefore an opportune time to revisit what these issues mean for Queensland and Australian society as a whole. We have an opportunity to input and shape the future if we mobilize effectively. YANQ needs our sector to come together and seize the opportunity to look at current practice, where the gaps are and to articulate a coherent position in which YANQ can robustly represent the Queensland youth sector from the position of shaping where multiculturalism goes to next rather than being passengers in a process that steam rolls us to outcomes that perpetuate the notion of multiculturalism being more of a myth rather than a reality. We believe robust conversation matched with practical action is critical to getting the best outcomes in progressing multiculturalism for the benefit of the Queensland young people we work with and serve. To this end YANQ engaged an external consultant to find out the views of the youth sector from across Queensland in relation to the following questions. We believe this was critical in building upon YANQ’s previous position in relation to multiculturalism. Is multiculturalism on the agenda in our organizations and what priority is it given? Should it be? And what do we mean by multiculturalism? What policies and processes do we have in place in promoting and progressing multiculturalism? What processes and systems have we developed to create a shared understanding and ownership of what multiculturalism means that is inclusive of all of the communities that we serve? What do we see at the challenges and opportunities for multiculturalism going forward? What practical action will we be taking to taking to address the challenges and opportunities that we articulate as a sector? How can YANQ assist the Queensland Youth Sector in advocating what our position on multiculturalism should be noting the diversity of our geography and sector? What can YANQ do to support organizations in practically developing a shared and sector owned vision about the practice, capacity, support and implementation of multiculturalism in relation to policy outcomes, sector capacity and equity of opportunity for Queensland young people to genuinely benefit from the notion of multiculturalism? The consultation focused on Queensland youth sector, State Government Departments and national peak bodies in relation to updating and refreshing our approach to advocating advancement of multiculturalism. The consultation process sought to capture and be informed by sector views, requirements for support and to develop an approach for coordinating advocacy with other key stakeholders at state and national levels. 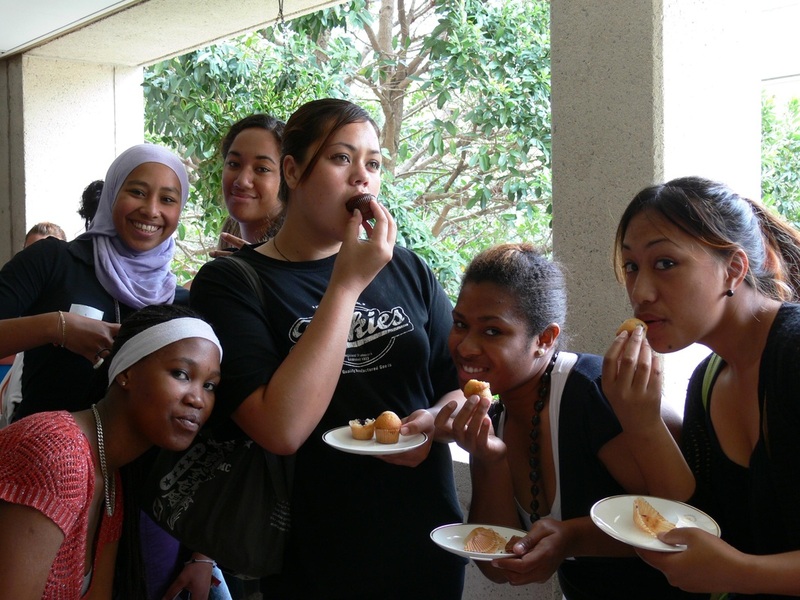 Multiculturalism in Qld's Youth Sector - Where to Next? YANQ has been seeking the views of the youth sector in relation to updating and refreshing our approach to advocating advancement of multiculturalism.